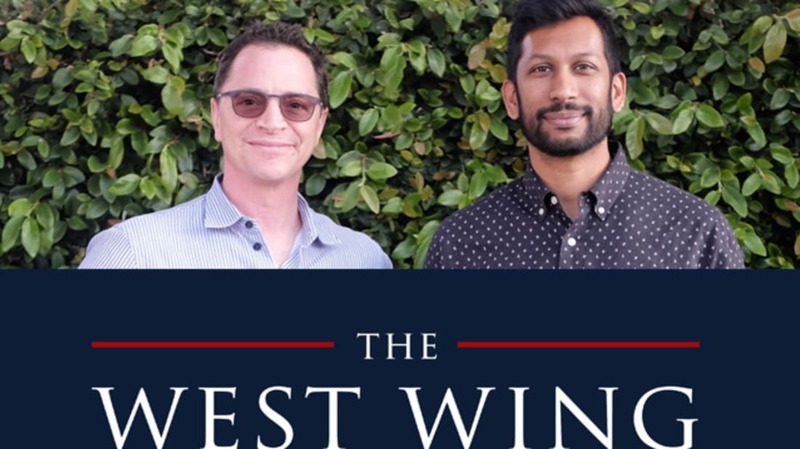 When Hrishikesh Hirway and Joshua Malina announced their new West Wing podcast last month, some fans reacted so excitedly, it was as if the show itself were returning to TV. Their popular show, The West Wing Weekly, offers an episode-by-episode breakdown of the NBC political drama, which ran from 1999 to 2006. While Malina can speak to some of the behind-the-scenes action—he played campaign manager-turned-Congressman Will Bailey for four seasons—Hirway is a self-proclaimed super-fan. The West Wing Weekly isn’t the first podcast to delve into a TV show one episode at a time. While hundreds pick apart current series like The Walking Dead, Game of Thrones, The Real Housewives franchise, and just about everything else on the air, retro TV podcasts give listeners a chance to rewatch old favorites. These shows can be particularly successful if, like The West Wing, the series happens to be available on a streaming service like Netflix. This popular Gilmore Girls podcast features episode-by-episode analysis by longtime fan Kevin T. Porter, series newbie Demi Adejuyigbe, and an array of special guests. “I’ve been a guest a couple times, and it has been a really fun, awesome experience,” says Hirway, who adds the geeky, funny podcast is “definitely an inspiration” for The West Wing Weekly. Hosted by filmmaker/podcaster extraordinaire Kevin Smith and comedian Matt Mira, this podcast aims to delve into 250-plus episodes of Frasier, one installment at a time. (They’re currently on Season 2.) While the guys often go off-topic and chat about entertainment news or, say, which Cheers alums still look great, they always circle back to Dr. Crane. Inspired to rewatch every episode of The X-Files? Pair it with Nanjiani’s funny, in-depth show. Earlier this year, the podcast reached new heights when Nanjiani spoke to David Duchovny and Gillian Anderson from the set—where he had a small role on a new episode of the series. Sci-fi dreams really do come true. Billed as “the only Golden Girls podcast you will ever need to listen to,” hosts H. Alan Scott and Kerri Doherty truly appreciate the sitcom and share far more information than a casual fan like myself would expect (or perhaps need). Dave Holmes, Grace Helbig, and others have dropped by, and the most common complaint from fans is that they wish the episodes were longer. 5. EVERYTHING’S COMING UP PODCAST! Hosts Allie Goertz and Julia Prescott are downright giddy about The Simpsons and here, they take fellow enthusiasts along for the ride. Yo Gabba Gabba!’s DJ Lance Rock and actor Samm Levine have appeared on the show to dissect episodes, as have Gilmore Guys’ Porter and Adejuyigbe and Talk Salad’s Matt Mira. It’s one happy, Homer-ific family. The podcast universe is awash with shows devoted to Star Trek, and this is one of the most ambitious. Each week hosts Ken Ray and John Champion examine one of the more than 700 episodes from the Star Trek archive. After tackling the original series, right now the guys are on Season 4 of Star Trek: The Next Generation. Many Lost fans (including myself) were introduced to podcasting via this thoughtful show from Jay Glatfelter and his father, Jack, which has been running for more than a decade. The guys still post new episodes where they look back at Lost, though over the years they’ve expanded their empire to include Survivor, The Leftovers, and other TV podcasts. Though host April Richardson wrapped her Saved by the Bell rewatch podcast in 2014, it still holds up (just like the show … right?). What’s even more astounding than the sheer hours she devotes to Zack, Screech, and the gang is the caliber of her guests: Chris Hardwick, Aimee Mann, and Diablo Cody, to name a few. For more podcast recommendations and interviews, head to the archive.